Galway is bidding to become the European Capital of Culture in 2020. 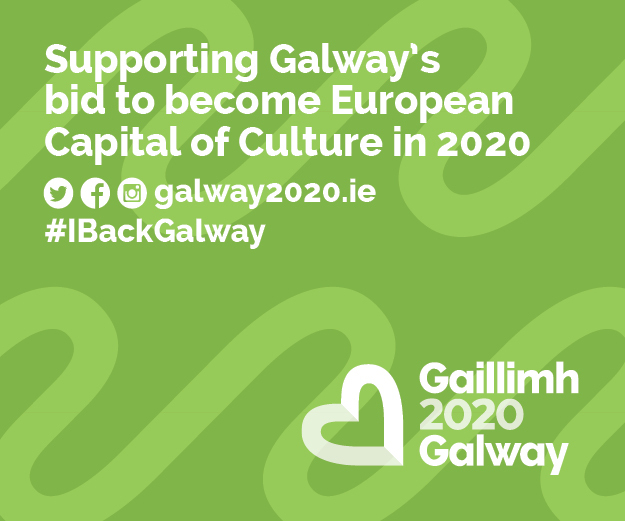 The bid is providing an opportunity to reflect on the uniqueness of Galway’s culture and the richness, vitality and diversity of its European culture. The bid also represents a chance to collectively re-imagine and create a better, more vibrant and creative Galway of the future. It’s a competitive process so the team is asking everyone to get behind their bid with a Campaign Brand Pack available on their site. And over the next few weeks Galway’s culture will really be on show with the 27th Galway Film Fleadh running 7-12 July immediately followed by the Galway International Arts Festival on 13-26 July.